The Number One After-Genital-Contact Hand Soap going around. One pump after contact is all you need to be genital germ free. 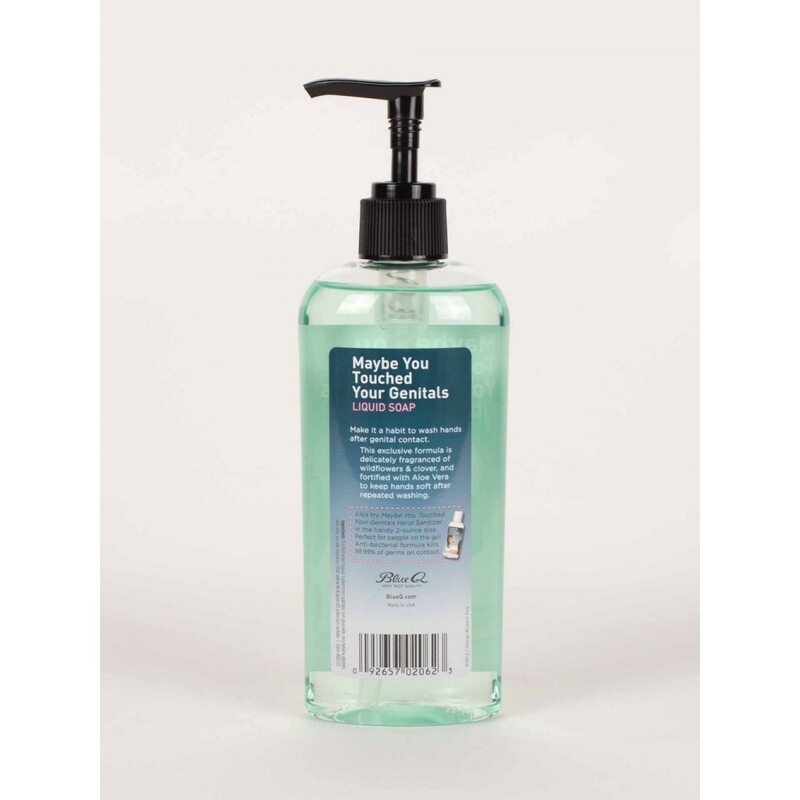 Delicately fragranced of wildflowers and clover, and fortified with Aloe Vera to leave your hands soft afterwards. We're online shoppers too and we know that when you've bought a product you love, the wait for it to be delivered can be painful and frustrating. That's why we offer FREE overnight shipping for orders over $99! Our warehouse team don't dilly dally, they process your order super fast and our reliable partners will get your order out to you, pronto! In fact, the vast majority of our orders arrive the very next business day. Order deadline: Standard & Express - order must be placed by 2pm (Mon-Fri) for same day dispatch. Not everyone is as cool as you. Buying the perfect gift is that much easier, when you know you can get a refund or exchange it for one of our many other seriously cool products. As long as the product is in its original brand new condition, we'll happily have it back within 100 days. Put simply, we've got what you didn't know you wanted. You know, stuff you don’t see every day that’s fresh, funky or different in some way.